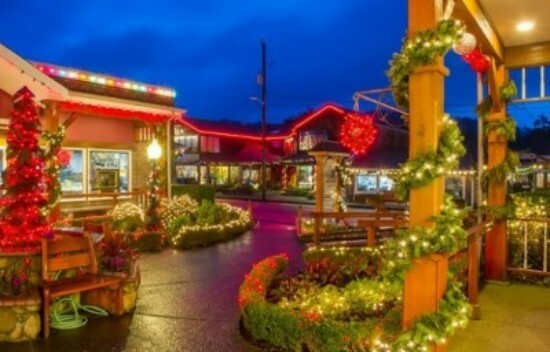 The picturesque village of Cannon Beach lit up festively for the season. Haystack Holidays is a collection of delightful special events in Cannon Beach that will warm your heart. Get into the spirit of the season at events for all ages! Between the shopping and special events, you can enjoy the spectacular Oregon Coast during a season like no other. Make Tolovana Inn your home away from home, with spacious suites and cozy fireplaces. Celebrate the sounds of the season with the 30th Cannon Beach Chorus concerts, “Caroling, Caroling.” For more details, visit the Chorus online. A beloved Cannon Beach holiday tradition at Sandpiper Square beginning at 4pm. Treats and refreshments are served after the ceremony. Santa Claus is coming to town. Actually to the Cannon Beach Chamber of Commerce from 1pm until 4pm. Visit participating retailers and submit correct ‘Name That Tune’ playing cards for a chance to win a holiday gift basket. Holiday lights voting can be submitted online or in person at the Chamber. Voting is open until December 14th and awards will be announced at the Coaster Theatre performance on December 15th. Finish 2018 with some fu n at the Coaster Theatre! 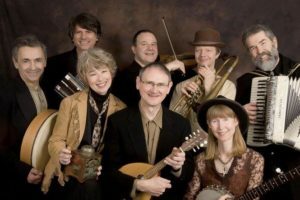 The Trail Band is an 8-piece ensemble that creates an energetic blend of brass and string arrangements of traditional and original music featuring five great vocalists. (Including Rindy and Marv Ross, of QuarterFlash). The premiere historic music ensemble from the Northwest will kick off the evening performance at 7pm at the Coaster Theater. Spot Gray Whales on their migration south along the Oregon Coast. Volunteers at Ecola State Park will be on hand to provide information. Find out more here!